With automation as the current key to productivity in stock management, the need for mechatronics (which makes it possible to generate simpler, more economical, reliable and versatile systems) increases by day and is becoming the key focus area across industrial and retail sectors. Want to solve your stock control problems and eliminate constant queries? Having full control of your stock, and knowing exactly what is going in and out of your warehouse, means you can accurately plan ahead and always keep track of your stock in real time. 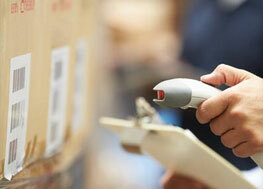 An inventory management system is a must for all kinds of warehouses, regardless of the stock kept. From inventory control, shipping and receiving, to order fulfilment, a Warehouse Management System (WMS) is vital to improving the efficiency of a company’s warehouse operations. Designed to make the day to day operations of a warehouse flow smoothly, a warehouse management software (WMS) is a piece of software that is created specifically for this purpose. The inventory management system centralises the entire inventory process for the warehouse in order to ensure efficiency. In addition, automated controls within the warehouse add substantial value in ensuring quality, accuracy, and traceability, guaranteeing that you achieve a competitive advantage. It is one of the few areas that will have an immediate and positive impact on your bottom line. Return on your investment is guaranteed to be significant. The right inventory management system is going to speed up the basics such as quoting and sending out invoices. Why should you work with Multi-Weigh? We offer customisable solutions for your inventory needs. We listen to what our customers really need in order to give them an inventory system that will work effectively for them. We are happy to go the extra mile to make sure that the system you use is user friendly. Our services don’t stop once you buy our software. Instead, you will receive support long after you have bought the software. 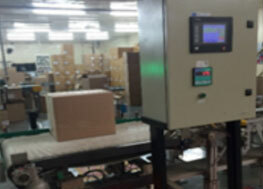 We are the experts in barcoding, industrial automation, material handling, weighing and measuring. As the technologies available grow, so do the solutions that we offer. 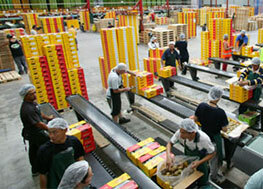 With the Multi Weigh inventory system (WMS) you will be working smarter and saving time. Our systems are well-priced, making them the more affordable option, and as the best suppliers of these systems, we have a great selection available. You won’t have to be bothered with complicated excel spreadsheets, strange formulas and accidentally deleted documents when you have our easy to use warehouse management system. You too can benefit from our top warehouse management software in South African by getting in touch with our team. 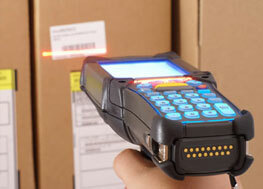 Our inventory control software is well priced and available to warehouses throughout South Africa. Eliminate costly errors. Ensure accuracy, Instil accountability and reduce user dependency. From inventory control, shipping and receiving, to order fulfilment, a Warehouse Management System (WMS) is vital to improving the efficiency of a company's warehouse operations. In-line weighing integrated, static weighing integrated verify, identify, consolidate and GRV in one process @ Receiving, @Transfer or @Despatch. Trap the error at the source. IT in the packhouse: Paperless traceability, batch tracking and reporting including consolidation of shipping documentation. 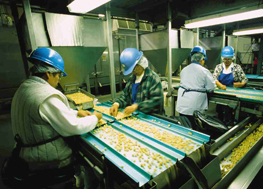 Track, trace and control all processes from Orchard to Fork. Automated Quality Control and Yield Reporting all in one place. Real-time Dashboards and access to data anytime, anywhere.